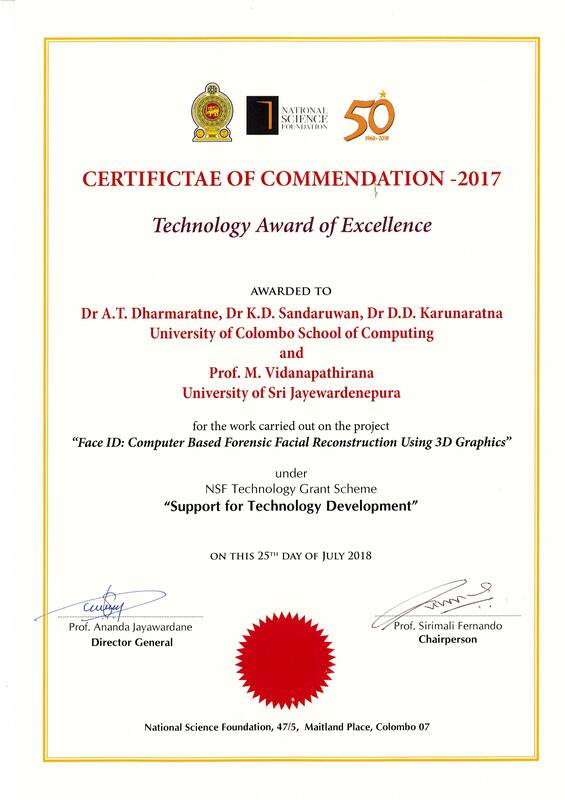 “Face ID: Computer Based Forensic Facial Recognition using 3D Graphics” project conducted by UCSC won “Technology Award of Excellence” awarded by National Science Foundation under the “Support for Technology Development” grant Scheme on 25th of July 2018. The Members were Dr. A.T.Darmaratne, Dr. K.D. Sandaruwan, Dr. D.D. Karunaratne, and Prof. M. Vidanapathirana from the University of Sri Jayawardanapura.